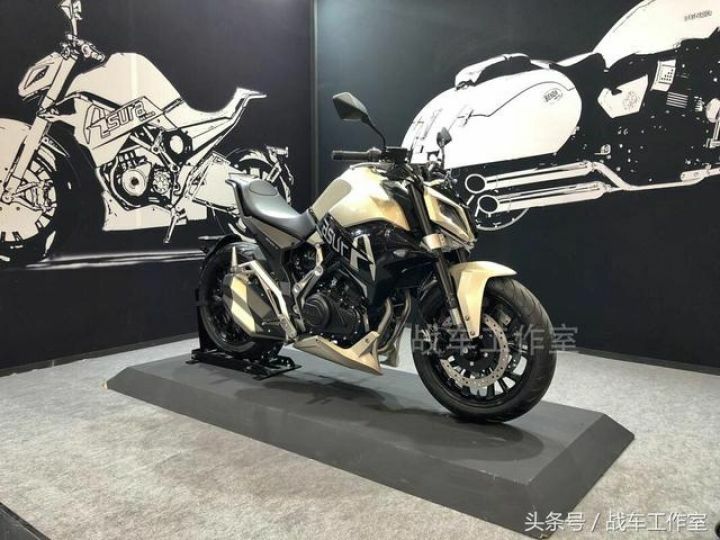 This Chinese Naked Concept Makes Kawasaki’s Sugomi Design Look Sober! Features an extremely aggressive design. Gets all-LED lighting system and a TFT console. Comes with a single-sided swingarm too! Chinese motorcycle manufacturer Benda has taken the wraps off its 400cc concept motorcycle called the Asura 400. There’s no info about the story behind the name, but in Indian mythology, Asura means “Demon”. And boy what an apt name for this motorcycle! The bike simply reeks of aggressive design language, with its numerous cuts and slashes. The sleek headlamp offers a nice contrast to the muscular fuel tank, which makes the overall visual mass concentrated in the middle. The rider’s seat is angled forward so aggressively that it actually appears to double up for lower back support! Even the stubby subframe is ridiculously raked out, with a pillion seat perched atop. For optimal weight savings, the brand has reportedly made the subframe out of forged aluminium. Benda hasn’t cut corners when it comes to features either. It gets a large multifunction TFT display mounted on the handlebar clamps in such a way that the screen actually looks like it’s tank-mounted. The LED headlamp’s design wouldn't look out of place if it was the face of one of the Decepticons in a Transformers movie! Even the indicators and tail lamp are LEDs. Another interesting design aspect of this concept is the single-sided swingarm, which is normally found on very high-end bikes from Ducati and MV Agusta. The stylish alloy wheels and the stubby dual exhausts nicely accentuate the rear. A 399cc parallel twin 4-valve liquid-cooled engine does duty in this concept. It is reportedly developed completely from the ground-up and generates 43.5PS. Compared to the Kawasaki Z400, the motor’s power falls short by just 1.5PS. Underpinnings are all premium - inverted forks up front, rear monoshock, dual front discs with radial calipers, standard ABS - you get them all. Reports are rife that the bike will make it to production; however, the Chinese brand hasn’t confirmed anything yet. We do hope it does! MotoGP: Making Of A Fan?